[UPDATED: Mar. 26, 2019] Alberta kochia populations have exploded following back-to-back years of dry growing conditions. The past two seasons created the “perfect breeding ground” for kochia — which thrives in dry, saline conditions — over much of the south. But the full impact won’t hit until this year. “Kochia populations tend to show up in very high densities the year following a very dry year,” said Geddes. Historically, kochia has been particularly problematic in low-lying areas of the field that tend to be more saline. But from there, the weed can spread rapidly into the more productive parts of the field, causing significant yield loss, especially among crops that can’t compete as well. On top of that — and more worrying still — is that this full blast of kochia infestation will only accelerate herbicide resistance in the weed. And as resistance spreads, the modes of action that producers can use to control kochia dwindle. Today, kochia is considered to be fully resistant to Group 2 herbicides, and more than 50 per cent of kochia populations in southern Alberta are also resistant to glyphosate (a Group 9 herbicide). Group 4 — or dicamba — resistance was also found in 18 per cent of kochia populations in 2017. But the best chance farmers have to get ahead of kochia is in the spring, before the crop emerges. “Pre-emergence is basically one of the best windows to utilize for herbicide control of kochia,” said Geddes, adding it is one of the earliest weeds to emerge in the spring, soon after the snow melts. These herbicide options vary by crop type. For spring wheat, Geddes has found that a herbicide such as Authority — a Group 14 herbicide — has shown “fairly consistent and high control of kochia.” For field pea, Heat (also a Group 14 herbicide) or Aim mixed with Authority (two Group 14 herbicides) have worked well in the preliminary research. Edge (Group 3) may be a viable option for canola. And if farmers don’t switch up their modes of action, they could lose the ones that remain. “A pre-emergence or pre-plant herbicide is a very good tool to help manage kochia,” he said. “But it’s also important to come in with a post-emergence or in-crop herbicide application of a different herbicide mode of action. As resistance continues to break down, farmers will also need to look at other ways of managing herbicide-resistant weeds, he added. One of those options is spot tillage. An extended crop rotation is another valuable tool because different herbicide modes of action are introduced into the rotation. Beyond that, consider ways to make crops more competitive. One way to do that is by increasing the seeding rate and decreasing row spacing. Giving winter cereals a shot is another. 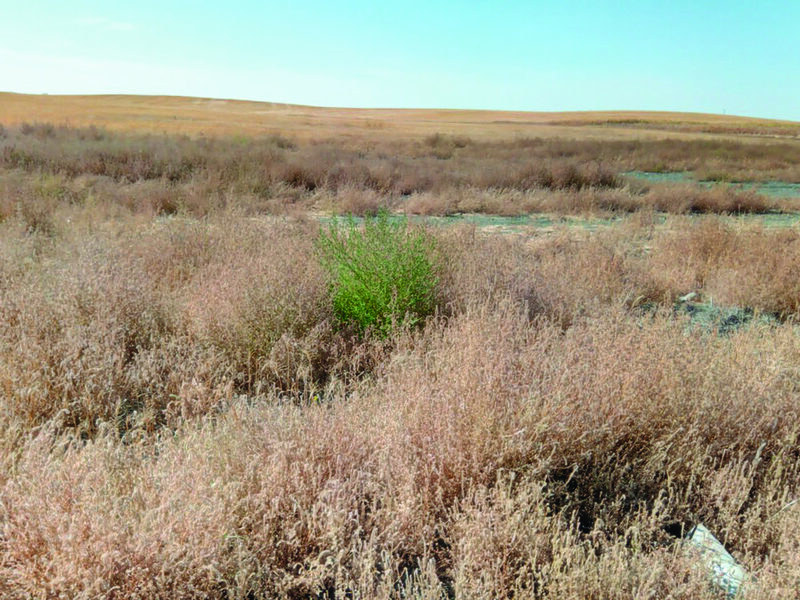 “Most of our crop rotations consist of summer annuals, but including a winter annual in your crop rotation can be an effective tool for kochia management, as you have something established in the spring as kochia is trying to emerge,” said Geddes. Going forward, focus on management practices that will improve their stewardship of the remaining modes of action, because once those are gone, kochia will be virtually unstoppable as it spreads across the southern Prairies. “With kochia, we have limited options for control, and the control options that remain are less effective than the ones that we’ve already lost,” said Geddes. *[Update] Research into these herbicide options is in its early stages, and some of the herbicides suggested are not yet registered for kochia control. Check with your input supplier before using a product if you’re unsure whether it’s been registered for kochia control.